Your best credit score starts here. Your credit score is more than just a number. A better score can help unlock the things you want most — like a fly new credit card or loan rate. See your free credit score whenever you like. It's updated every 7 days. Know when things change with 24/7 access to free credit monitoring. Keep your number climbing with smart tools and tips specific to you. 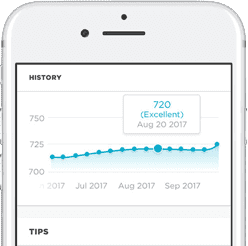 From raising the limits on your cards to paying your bill on time for a few months, your credit score simulator lets you see how small shifts can mean big point increases. 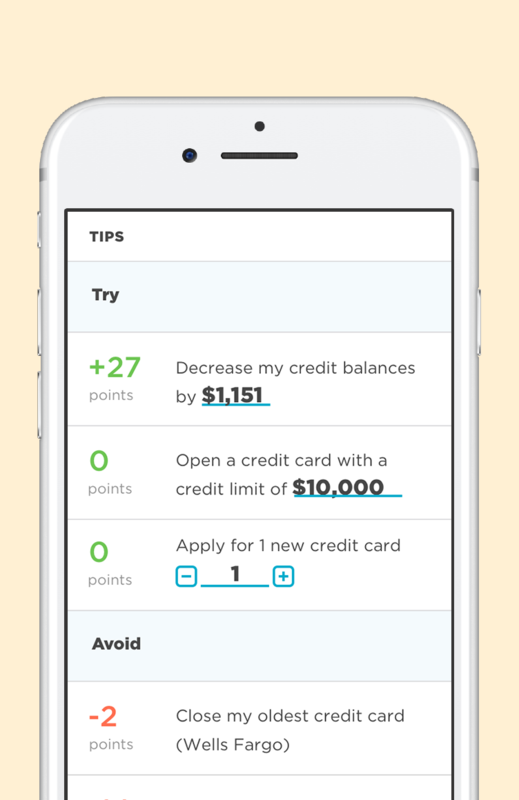 NerdWallet lists all your credit factors in one easy place so you never have to wonder where you stand. Plus, helpful ratings make it simple to know exactly where you should focus. Ready to show your credit score some love? Here are some of the ways we keep you and your info secure. Learn more. Rest easy knowing that we’ll never sell your data to third parties.